Our knowledgeable and friendly tasting room staff is happy to guide you through a tasting experience that will show you why the ports we produce are the most awarded in the united states. Our Tasting Room is open every day (excluding major holidays) from 11 am to 5 pm. For our club members, tasting is always complimentary! For tastings from 1 to 4 guests, we charge no tasting fee. For groups of 5 or more, reservations are required. Please contact the Tasting Room for reservations and pricing. We truly enjoy sharing our award-winning Ports with you. And we believe we'll introduce you to a new favorite! While you'll enjoy five delicious Ports, we tailor your experience to what flavor profiles you're enjoying the most as you sip through your tasting with us. Our Tappit-Hen refillable liter program offers you a chance to try new and limited Ports every four to six weeks. We select one barrel of something special we'd like to share, or barrel down a specially blended Port that will be available only in the Tappit-Hen program. Like a beer growler--only better! If you travel up and down the Valley or live nearby, this is an incredible way to enjoy many different styles of Port, and at a tremendous value! We want you to look forward to trying something new each visit. We're now offering a Premium flight option, so you can try Ports not normally offered--such as older Vintage and Tawny Ports--for a small tasting fee. Each week, we have a new premium flight available for you. 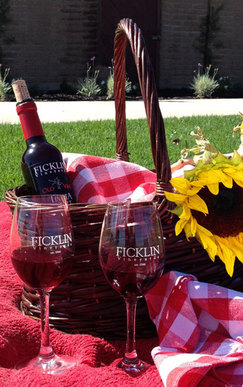 We've paired up with Whole Foods Market to provide you a delicious, fresh picnic when you arrive to Ficklin Vineyards. Select our Tasting Basket: cheeses, nuts, fruit, chocolate--all treats with our Ports. Or you may select a lunch basket: Your choice of sandwich, salad, chips, fruit paired with Port. Requires 48 hours notice to have it for you upon arrival. Enjoy at our picnic table overlooking the vineyard, or spread out a blanket on our front lawn. "The weather chased us down from Kings Canyon NP so we decided to do some wine tasting. 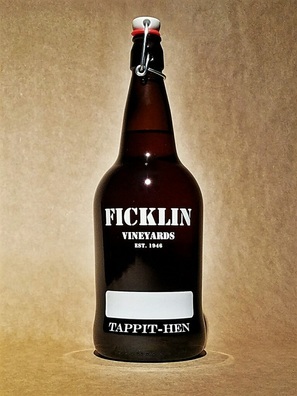 Ficklin Vineyards is probably the most friendly wine tasting experience that I have had in all of California. Wines are really good and reasonably priced. You don't have to start out liking Port to visit, but you will certainly like it before you leave. Thank you for a nice experience." May 25, 2018 -- Ken H.
"Just love the Ports! Beyond amazing!! Peter and the team also help make it even better!" 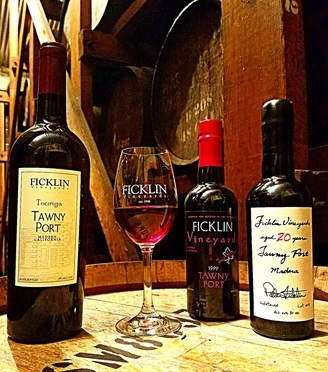 "Ficklin Vineyard isn't just good at what they do; they're the very finest port makers in the world. Mere words simply cannot describe the pure pleasure in every bottle. 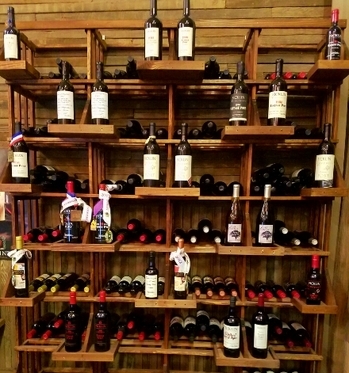 It's a must visit place for all lovers of fine port. They are my "port in life's storms" and " safe harbor to celebrate all joys." "Stopped to wine taste while visiting friends in Fresno. I wasn't sure I'd like port but I certainly liked these! Delicious! Barrels all around and friendly people working who seemed to know what they were talking about. Great experience all around. I'll be back again!" "Love the variety of Ports. Peter Ficklin and his staff are the best! Try their picnic lunches, so good!!!" "The owner is wonderful and people that work there are Phenomenal. And Of course, the port is amazing. Can't get enough of the Touriga Tawny." "Ficklin sure does it right." "Can't say enough good things! Absolutely love the place and staff! You must check them out for yourself! You will not be disappointed!"